Congratulations on your decision to go down the e-kit route! A wise move – you’ll keep the neighbours happy and you can practice in the middle of the night! 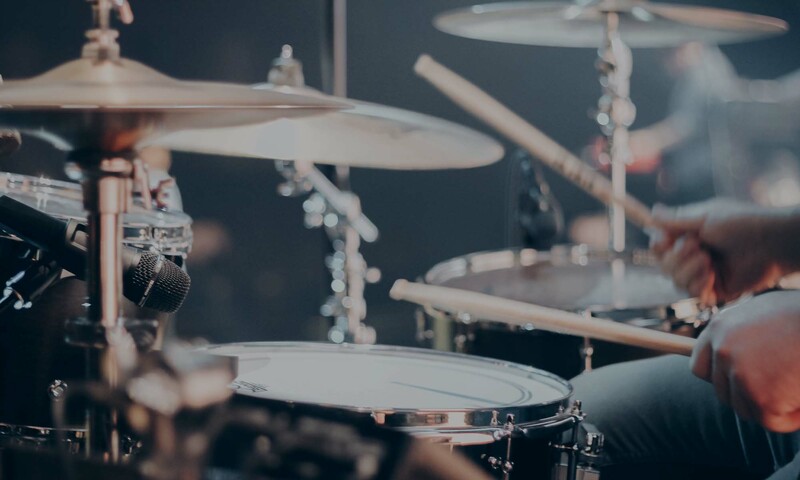 Here’s a selection of electronic drum kits worth checking out. Remember to check whether essentials are included such as a drum stool, pedals and drum sticks. If not visit the drumming essentials page to get you started. It’s difficult to recommend this kit as anything more than a practice kit due to the unnatural position of the snare drum. Setting it up as shown in the picture would be very uncomfortable to play so try to upgrade to something better at the earliest opportunity. At around £200 you get what you pay for with this kit. Again, difficult to recommend this as anything other than a very basic practice kit. With both a remote hi-hat and remote bass drum pedal it’s far removed from a real kit. The snare drum is more adjustable than the Alesis DM Lite above so at least you should be able to set up a more comfortable playing position. Street price around £340. At around £340 this is a lot of kit for the money! You get a remote hi-hat pedal, 2 cymbals and a 5 piece configuration consisting of bass drum, snare drum and 3 toms. 8″ rubber pads all ’round and a lightweight aluminium rack. For an extra £160 or so you’ll get mesh pads all ’round – definitely a worthwhile upgrade over the rubber pads. You’ll also get a nice solid chrome rack. At around £500 is is a great starter kit. Roland have really focused on giving the player a more comfortable playing positing with this e-kit. The snare is in a great position and you even get a proper bass drum pedal! Mind you, at around £600 it may be more tempting to go for one of Alesis’ cheaper options. With mesh heads all ’round, a large 12″ snare drum and a proper bass drum pedal this is getting in to the ‘more serious’ e-kit category. Still lacking a real hi-hat stand but other than that it’s a nice kit. Street price around £1,230. Roland advertise this kit as a ‘mid-level’ electronic drum kit but at almost £1,700 it certainly falls within the ‘high end’ price bracket. This is a beautiful kit with mesh heads, real hi-hat stand and a proper bass drum pedal. Only 2 cymbals may be frustrating around this level but next up from this is the TD30 at around £3,000 and the TD50 at almost £4,000. This information is only intended as a guide so please double check with sellers that everything is as expected. There’s plenty choice out there – now you just have to get playing! Remember we have a similar guide for acoustic kits if that’s more to your fancy!